In every ‘history’ lurks the word ‘story’. I am an historian, but above all, I am a storyteller. It is in the unearthing of known, or as yet undiscovered, stories about people and the events they make—or which shape them—that I find so fascinating. 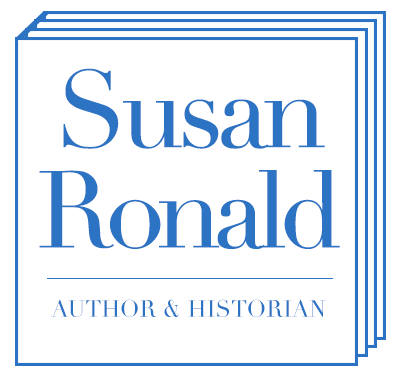 Join me on my journey to illuminate some of the people who made their stories into history from the 16th to 20th centuries. Born in turn-of-the-century San Francisco to French parents, Florence moved to Paris, aged eleven. 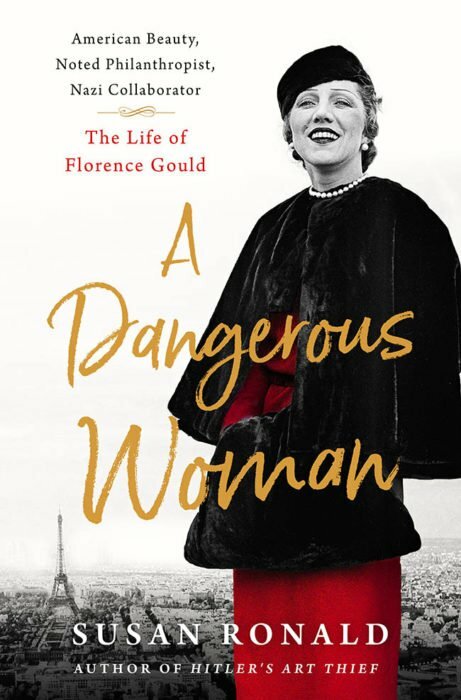 Believing that only money brought respectability and happiness, she became the third wife of Frank Jay Gould, son of the railway millionaire Jay Gould. She guided Frank’s millions into hotels and casinos, creating a luxury hotel and casino empire. She entertained Zelda and Scott Fitzgerald, Pablo Picasso, Joseph Kennedy, and many Hollywood stars, like Charlie Chaplin, who became her lover. While the party ended for most Americans after the Crash of 1929, Frank and Florence refused to go home. During the Occupation, Florence took several German lovers and hosted a controversial salon. As the Allies closed in, the unscrupulous Florence became embroiled in a notorious money laundering operation for fleeing high-ranking Nazis. The world was stunned when eighty-year old Cornelius Gurlitt became an international media superstar in November 2013 on the discovery of over 1,400 artworks in his 1,076 square-foot Munich apartment, valued at $1.35 billion. Gurlitt became known as a man who never was – he didn’t have a bank account, never paid tax, never received social security. He simply did not exist. He had been hard-wired into a life of shadows and secrecy by his own father long before he had inherited his art collection built on the spoliation of museums and Jews during Hitler’s Third Reich. It’s Lent 1615. Susanna Shakespeare Hall — the hard-working but unknown and ungenteel daughter of the “rock star” playwright of the day, William Shakespeare — has had enough. She runs hell-for-leather from sleepy Stratford-upon-Avon and her philandering doctor husband, vowing never to return. Her destination? London. The London she’s heard so much about and has never seen. That same London that has stolen away her father. 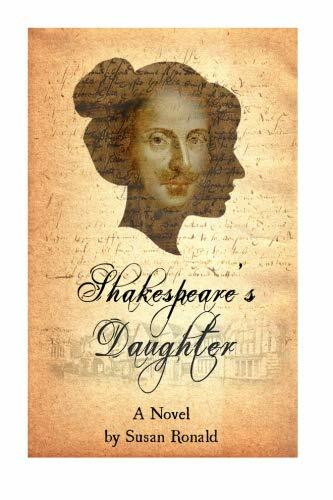 Susanna has myriad scores to settle and questions she needs answering, and only one person can be held to account — William Shakespeare. Naturally, her Shakespearean road trip is anything but smooth, as she encounters infamous highwaymen, footpads and handsome actors in a world far richer in rapscallions than any of her father’s plays. But when she finally meets up with her famous dad, Susanna slowly realises that things are not as they seem… that her anger at Will has blinded her to life and love and only he holds the key to her release. Elizabeth’s 1558 coronation procession was met with an extravagant outpouring of love. Only twenty-five years old, the young queen saw herself as their Protestant saviour, aiming to provide the nation with new hope, prosperity, and independence from the foreign influence that had plagued her sister Mary’s reign. Given the scars of the Reformation, Elizabeth would need all of the powers of diplomacy and tact she could summon. 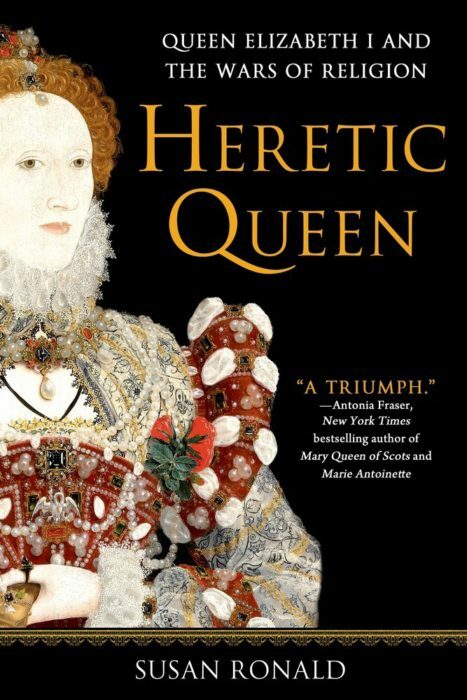 Dubbed the “pirate queen” by the Vatican and Spain’s Philip II, Elizabeth I was feared and admired by her enemies. Extravagant, whimsical, and hot-tempered, Elizabeth was the epitome of power. Her visionary accomplishments were made possible by her daring merchants, gifted rapscallion adventurers, astronomer philosophers, and her stalwart Privy Council, including Sir William Cecil, Sir Francis Walsingham, and Sir Nicholas Bacon. All these men contributed their vast genius, power, greed, and expertise to the advancement of England. 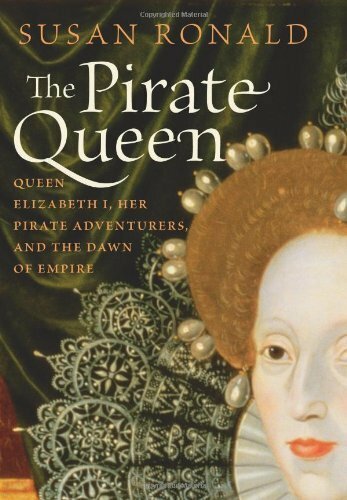 In The Pirate Queen, historian Susan Ronald offers a fresh look at Elizabeth I, focusing on her uncanny instinct for financial survival and the superior intellect that propelled and sustained her rise. The foundation of Elizabeth’s empire was built on a carefully choreographed strategy whereby piracy transformed England from an impoverished state on the fringes of Europe into the first building block of an empire that covered two-fifths of the world. Based on a wealth of historical sources and thousands of personal letters between Elizabeth and her merchant adventurers, advisers, and royal “cousins,” The Pirate Queen tells the thrilling story of Elizabeth and the swashbuckling mariners who terrorised the seas, planted the seedlings of an empire, and amassed great wealth for themselves and the Crown. 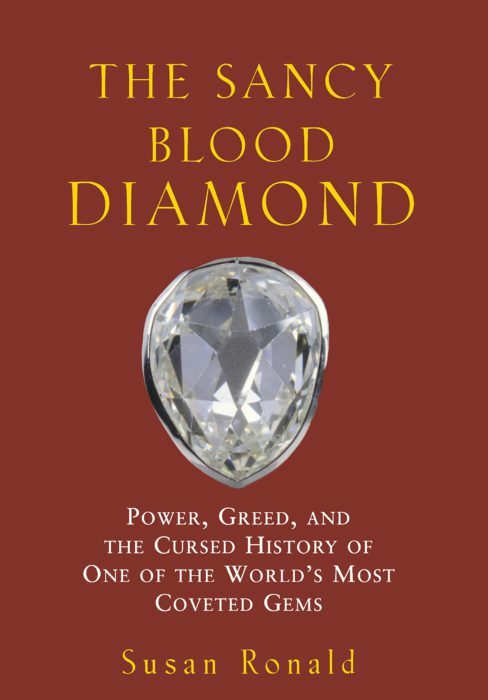 The Sancy Diamond first came to Europe from India in the fourteenth century, and until 1661 it was the largest white diamond-and the most concentrated and secure form of wealth-in all of Christendom. Alternately believed to impart invincibility to its wearer and to bring ruin to any who owned it. Ronald’s group portrait of people of great wealth — their expensive squabbles over inheritances and divorce settlements, their disinclination to pay taxes (Frank skipped out on paying federal income taxes for more than 30 years), their ability to manipulate people in power, all in the service of adding even more zeros to their bank accounts — is breathtaking and quite modern. 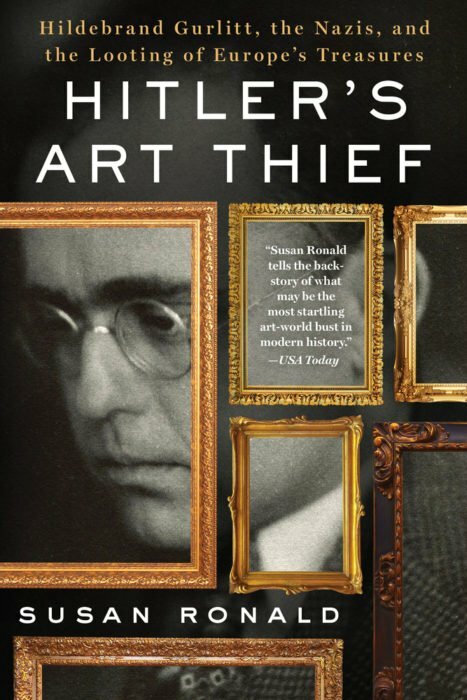 Ronald situates Gurlitt’s life and career amid the turmoil of Weimar Germany and then the evolution of Nazi art-looting campaigns from the late 1930s to the end of World War II, [adding] many new details about Gurlitt’s dealings. In this companion volume to Ronald’s study of the life and times of England’s Elizabeth I [The Pirate Queen], the author sets the Elizabethan age within the context of the Catholic-Protestant wars of religion that flared across Europe throughout the latter half of the 16th century. Ronald deftly pulls together a vast amount of historical research into a compelling narrative that’s essential reading for anyone interested in the strife-torn world in which this most fascinating queen used both wits and diplomacy to safeguard her kingdom, despite almost insurmountable odds. I am a British-American writer, born in Los Angeles California, but have lived most of my adult life in Europe – first in France and then home in England for over twenty years. History and translating it into commercially viable projects has been my lifeblood for my entire career — be it restoration of historic buildings to alternate use for governments, biographies of historical figures, or writing film scripts about famous people like William Shakespeare, Eleanor of Aquitaine or Tsar Nicholas II. Still, writing non-fiction books has been my primary focus since becoming a full-time writer in 2010.